I like to take pictures, so I have dreamed of being a model like Jang Yun Ju. I am tall but when I looked at the mirror, I sighed because of my big cheek bones and dull face. 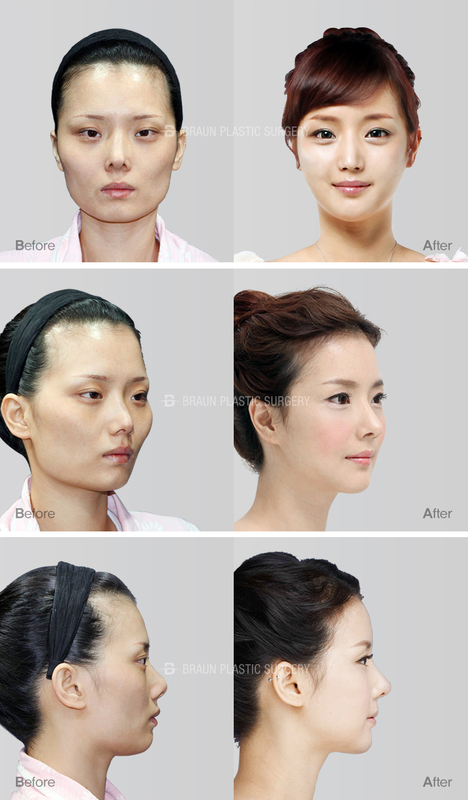 One day, my friend, who became pretty, introduced me so Braun Plastic Surgery Clinic, so I visited! I wanted to have a softer and feminine face like my friend, so I decided to have surgery in Braun. and angled jaw line made her image rather strong. sharp which made her image masculine. Her secret to look 10 years younger! There are a lot of people who do not recognize me after a long time. That makes me sad but it is proof that I got pretty. I heard I look 10 years younger, which made me super happy! with a plastic surgeon instead of just making the nose high and eyelids big. Because my face is precious! Found the problem of my face ! Before I met my doctor, I was nervous and went to the bathroom. I thought I want to improve my big cheek bones, sharp tip of nose, and square jaw line. Dr. Tae-gyu Kim and Dr. Gui-rak Kim gave me a clear answer for my face. So I decided to do eyes, nose, facial contouring and fat grafting. 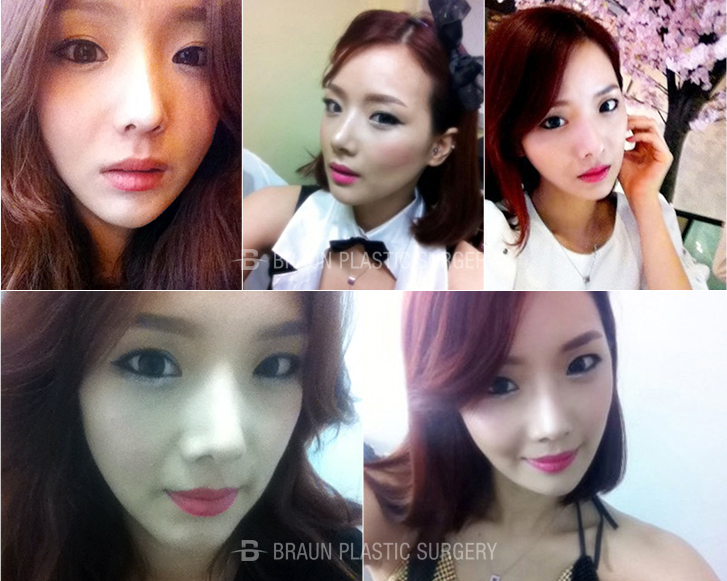 Dr. Tae-gyu Kim and Dr. Gui-rak Kim consulted me and found all the problems of my face. I fasted on the day of surgery and changed into a patient's uniform. there was an anesthesiologist which made me calm down. Dr. Tae-gyu Kim and Dr. Gui-rak Kim cooperated and the surgery went well. I was able to be discharged safely after one day. My doctor told me that the surgery was successful, so I was able to go home feeling comfortable. After the surgery, my face was very strange because of swelling. I prayed for the swelling to be gone soon! The secret to looking young is Braun ! The 10th day after the operation, I came in to check the result. My facial line has changed to become softer. My ears, eyes, mouth, and nose stand out, so I am satisfied. My doctor said my face is balanced and my nose line is straight and natural. After 2 weeks, my face looked slimmer since the swelling on my chin was gone! I am confident with my profile as well. I look way younger than my age! Every month, the swelling is gradually reduced, so I look natural even when I smile. The transplanted fat on my forehead and cheek is placed well. Before my forehead was always covered with my hair but now I pull my hair up. My protruding cheek bones that made me look like a man improved a lot, so I look younger. People around me said I look 10 years younger so I finally look like my age. Also, I am confident when I take pictures! My beautiful second prime time. It's been half a year since I've had my surgery. When I look at pictures before surgery, I don’t even remember what that was. I'm actively doing modeling work these days. Thanks to it, I get to try new clothes and I am confident even with unique hair or makeup on.